Our product range includes a wide range of data logger. We hold expertise in designing and developing the best-in-class Data Logger (Model 891). Conforming to the defined parameters of the industry, these offered products efficiently provide indication, controlling set points for various multiple processes and logging the data in its memory bank. 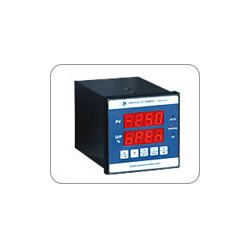 These products accept various process inputs (Current, Voltage, RTD, and Thermocouple) at a time (or predefined) with facility of all inputs on board field configuration, calibration and displaying. The offered products are provided with memory chips of instrument wherein data structures of all the channels and relays is stored. The stored data can be transferred to higher device like a desktop through RS232/485 communications. Interactive software installed in PC allows user to download and preview them with different tabular or graphical modes. Two scanning modes are provided with auto/manual. These products can accept UP TO 32 different channels at a time.